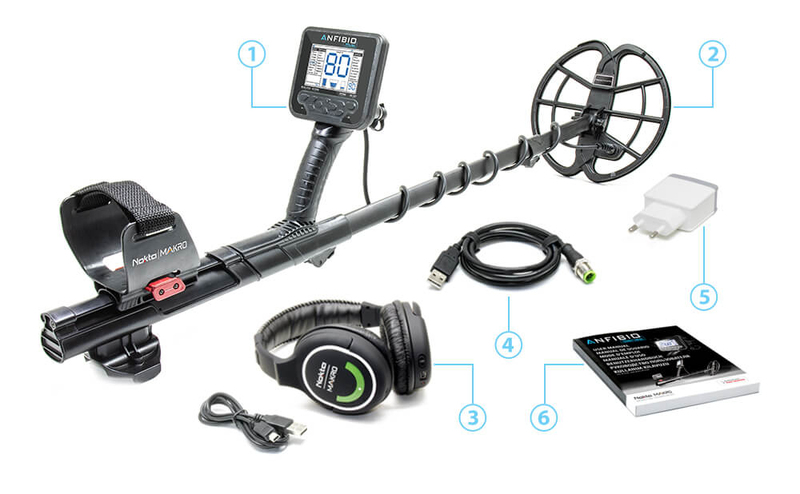 The ANFIBIO Multi is a Multi Frequency (5kHz/14kHz/20kHz) Metal Detector that is also Waterproof up to 16.4 feet (5 meters). When Depth, Unmasking & Sturdiness Matter...The Way To Go Is The ANFIBIO! With all its new settings and features, the rugged new ANFIBIO will be your best detecting buddy. Whether you are at a park, ancient field or beach, searching for coins, relics or jewelry, the ANFIBIO will deliver superior depth, speed and performance. Going underwater? Not a problem with the ANFIBIO either. 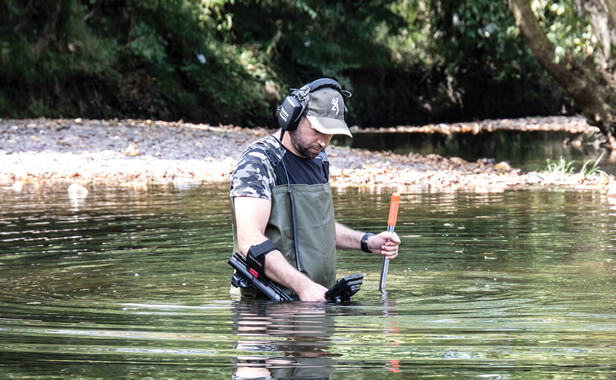 If metal detecting is your passion, the way to go is ANFIBIO! When Depth, Unmasking and Sturdiness Matter… the Way to Go is the ANFIBIO! 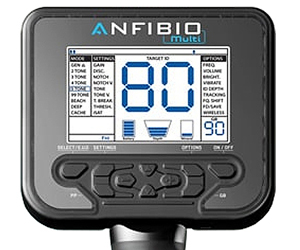 No need to get frustrated navigating through multiple screens – The ANFIBIO's single menu design offers very simple operation and saves valuable detecting time.